Select the Right Program for You! 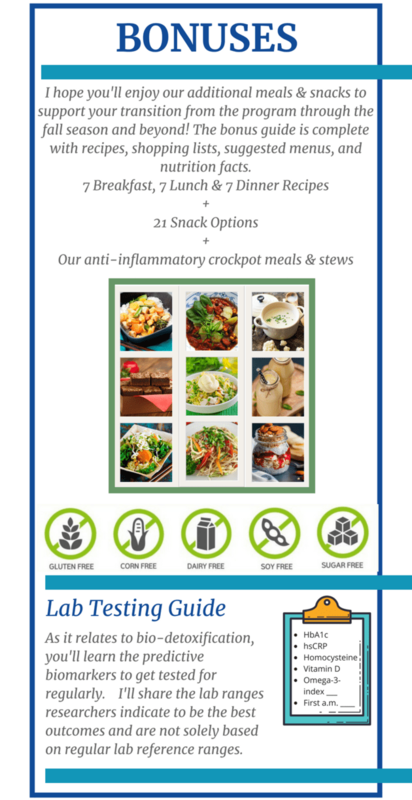 The Do-It-Yourself (DIY) Plus program is intended for seasoned detoxer's who would also enjoy receiving daily email support. All program bonuses are included. With DIY Basic, you may self-order your detox/cleanse kit directly from our e-HealthPro practitioner eStore. This option includes everything you need for a successful program (28 shakes, all your supplements, a program guide and shaker bottle) except for the bonuses and daily educational email series. See below. *Price is current as of the date of this writing. Price is subject to change per Designs for Health e-store updates. Tangible Products: Upon receipt of your payment your Pure PaleoCleanse Plus™ Detox Program Kit and Hydrolzyme™ will be drop shipped directly to you from Designs for Health to the physical address you provided with your purchase within 2-5 business days. Digital Products: In addition, your program digital materials and bonuses will be delivered to your inbox within 24-48 hours of your purchase. Be sure to check your spam, junk, or promotions folder if you don't see our email in your primary inbox. For US residents only. Drop shipments are not available outside the United States. 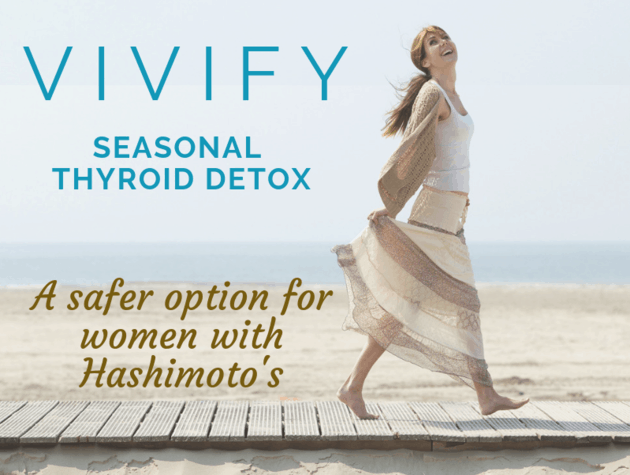 The Vivify Thyroid Detox program is intended for women only; men will not be added to the private Facebook group. Please provide us with a physical shipping address. No PO boxes, please. Not intended for women who are pregnant and/or breastfeeding. Not intended for weight loss, although you may lose weight. Program is a detoxification program. • Unopened items may be returned within 30 days, except for private label or heat sensitive items, which are non-returnable. • A restocking fee of 20% will be charged. • Prior authorization by our CSR team is required (800) 847-8302. • Reports of damaged products or order discrepancies must be communicated to Designs for Health within 72 hours of receipt to qualify for return/replacement. • All bar codes on product labels must be intact. Products with labels that have been altered in any way are non-returnable. Proof of Purchase: Since the product order was drop shipped directly from Designs for Health to you ordered for you by us, we will have the invoice number and can provide it to you upon your request. Only unopened items will be considered for return, within 30 days of receipt. If your item(s) are authorized by Designs for Health to return for credit, we will process your refund to you less shipping fees, a restocking fee of 20% and processing & handling fees after we have received a credit for your returned products by Designs for Health. Returned products require pre-authorization from Designs for Health. The telephone number to request returns from Designs for Health is (800) 847-8302. After you have received your invoice number from us, you are responsible for contacting Designs for Health for authorization for your return. To obtain your invoice number, email us at info@holisticthyroidcare.net with your full name & address, and the date you received your products. When speaking with Designs for Health, be sure to document the name of the person you spoke with and any return authorization number(s) for your records. You are responsible for packaging and shipping any/all products approved by Designs for Health for return to the address provided to you by Designs for Health at your expense. Please keep a record of your return authorization number and follow all instructions by the Designs for Health representative. All bar codes on product labels must be intact. Products with labels that have been altered in any way are non-returnable and will not be refunded.